The item And the winner is..., Jenny Miglis, (ebook.) represents a specific, individual, material embodiment of a distinct intellectual or artistic creation found in Charlotte Mecklenburg Library. 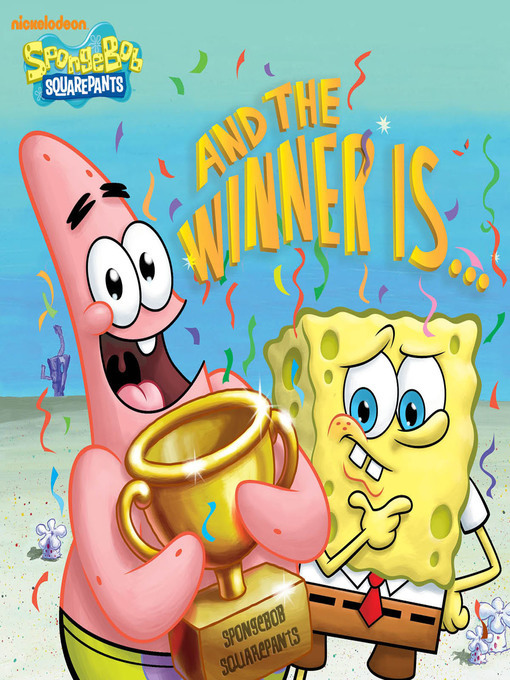 SpongeBob SqaurePants has more awards than he can count, so Patrick sets out to make himself a winner. But when Patrick starts to copy everything SpongeBob does, it cramps SpongeBob's style. Will Patrick's dream come between them? Or will he keep his eye on the prize and win the award after all?